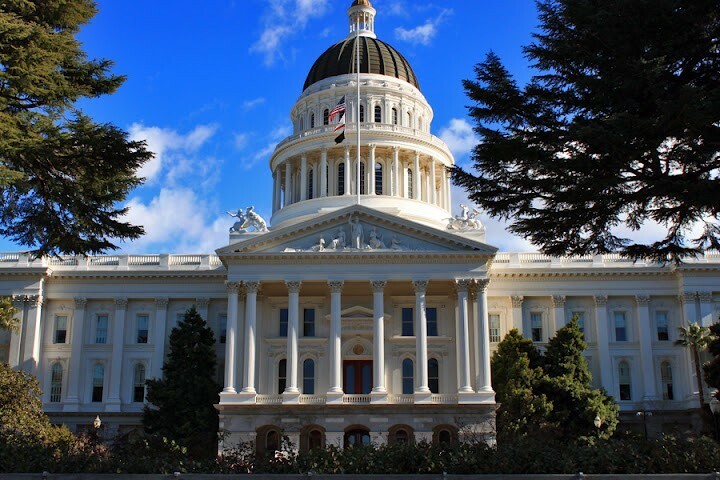 Over the past year, Democratic politicians in California have taken vocal positions against the immigration policies of the Trump administration. Among the party's most notable expressions of resistance is the California Values Act, which prohibits local cops for communicating with ICE. California Attorney General Xavier Becerra also sued the Trump administration to prevent the expedited construction of a border wall, and other Democratic Party politicians have started calling for the Immigration and Customs Enforcement agency to be abolished. State Senator Kevin de León even hosted an "Abolish Ice Cream Social" for delegates at the party's convention earlier this month. But at the same time, the California Democratic Party has accepted $215,000 in contributions over the past year from corporations that are considered prime contractors with ICE. The largest contributor was the Florida-based private prison company GEO Group, which gave Democrats a total of $140,000 over the last 15 months, according to state campaign finance records. Five other corporations, including multinational consulting companies Grant Thornton, Deloitte, and Ernst & Young, as well as political action committees for defense contractors Boeing and Northrop Grumman, which both have a history of working with ICE, collectively gave $75,000 during the same period. Richmond City Councilmember Ada Recinos, who co-sponsored an ordinance in May that barred the city from contracting with "data broker" companies that provide information and services to ICE, said she isn't surprised by the contributions to the Democratic Party, but she is disappointed. "It's the reason we need corporate money out of policymaking," she wrote in an email to the Express. The California Democratic Party's 2018 immigration platform states that it "will oppose detention centers that detain or incarcerate based solely on ethnicity, race, religion and national origin." The party is also on record opposing local law enforcement agency cooperation with federal immigration officials, unless the matter is a criminal case and a warrant has been issued. But the platform makes no mention of businesses that cooperate or contract with federal immigration authorities. The GEO Group operates dozens of facilities in California, primarily for correctional rehabilitation and reentry of formerly incarcerated individuals, but the company also runs two separate detention facilities for ICE: the Adelanto Processing Center in San Bernardino, and the Mesa Verde Processing Facility in Bakersfield. Twelve people died nationwide in ICE detention during the 2017 fiscal year, which, according to a report released by Human Rights Watch, made it the deadliest year since 2009. Three of those deaths, including one suicide and two attributed to a lack of medical attention, occurred at Geo Group's Adelanto Center. State lawmakers and immigrant rights advocates have frequently criticized the facility for neglecting the health-care needs of detainees, providing inadequate staff training, and having generally poor conditions. Despite these issues, the city of Adelanto extended its federal contract with ICE to 2021 last year. As part of this contract, the GEO Group is guaranteed a minimum of 975 filled beds. Mesa Verde also has had problems. A 2016 report compiled by ICE's Office of Detention Oversight found that the facility was deficient in 12 of the 16 standards that the inspection included. Guards were criticized for their use of force against detainees and the use of segregation and isolation units to hold immigrants. The report also found that the facility did not have any specific policies and procedures in place to respond to incidents of sexual abuse and assault. The GEO Group's agreement with the federal government ensures that the Mesa Verde facility will see a minimum of 320 filled beds until 2020, according to the contract ICE has with the city of McFarland. About 24 percent of GEO Group's revenue last year totaling $540 million was earned through immigrant detainee contracts with ICE, according to the company's annual report. As California's jail population has declined in recent years, the company has pivoted toward opening immigrant detention centers as a new business opportunity for growth. But it still also runs several facilities for the state's criminal justice system. For example, the Contra Costa Day Reporting Center, a rehabilitation and reentry program for formerly incarcerated people in Richmond, is run by a division of the GEO Group, and has been criticized by local criminal justice advocates for perpetuating systemic failures and corporatizing what many argue should be a community-based process, as previously reported by the Express (see "The Treatment Industrial Complex," 2/21/18). Robin Torello, chair of the Alameda County Democratic Party, said that Democrats have always demonstrated support for immigrants, Dreamers, and families that have been harmed by ICE. When asked about the money ICE contractors have provided to the state party, Torello said, "I don't know what to say to that. I just know that the party will continue to work against ICE and all it stands for, and will make its best efforts to follow our platform and our values." Multinational consulting corporations Grant Thornton, Deloitte, and Ernst & Young have each donated $20,000 to the state Democratic Party since last year. All three companies have received millions in taxpayer money through their contracts with ICE, mostly for data and record management services, according to a database of federal contracts. Defense contractors Boeing and Northrop Grumman also gave $10,000 and $5,000, respectively, to the California Democratic Party through their political action committees. Over the last two years, Virginia-based Northrop Grumman has received contracts to develop biometric and handheld devices used by ICE agents to identify undocumented people. The company also has provided ICE with software used to track the transportation and location of immigrant detainees. In 2006, Boeing won a $2.5 billion contract to build a network of drones, sensor towers, and other surveillance systems along the border with Mexico. The project, intended to address undocumented immigration, was canceled five years later for being ineffective and too expensive. Recently, the California Democratic Party debated the appropriateness of accepting money from private prison operators like GEO Group, and now Democrats appear to be rejecting the association. On July 11, 2018, the chair of the California Democratic Party, Eric C. Bauman, announced that the party will no longer accept contributions from private prison corporations. In a press release, Bauman stated that any contributions received from prison companies since his election to the seat on May 21, 2017, will be donated to immigrants' rights and rehabilitation organizations. Ten days before his election on May 11, 2017, the party received $65,000 in contributions from the GEO Group, which means it will keep a little less than half of the total $140,000 it received. The California Republican Party only received $40,000 from the Geo Group during the same period, according to campaign statements filed with the California Secretary of State.